For a truly timeless and classic look, our stylish collection of beige roller blinds is perfect for creating a soothing neutral look at the windows. They compliment a wide choice of interior designs and colour schemes and work particularly well with tones of black, white and cream. Beige is always fashionable and an extremely popular choice due to its versatile neutral nature. 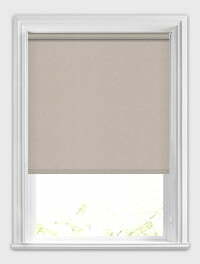 At English Blinds you will find a beautiful selection of elegant beige fabric designs, varying in texture and tones, to ensure that you find exactly what you are looking for. From relaxing plains for a subtle and more understated look, through to fabulous patterns that are ideal for adding a some detailing to a rooms décor. Very satisfied with the speed and service from ordering a sample to having the blind made and delivered. Customer support was excellent when I rang with a problem (caused by my fitting of the blind) and a new end piece sent out at no extra cost. This is the second time I have ordered from English Blinds and on both occasions I have been completely satisfied with the service provided. 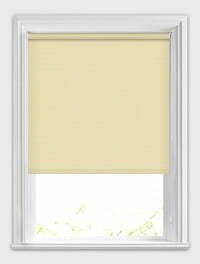 Three windows were not conventional sizes and the blinds provided fitted perfectly.